Syrian President, Basher Al Assad has announced a general amnesty on Monday to the country’s prisoners for all the crimes committed before June 9, 2014, reported the State news agency, SANA. 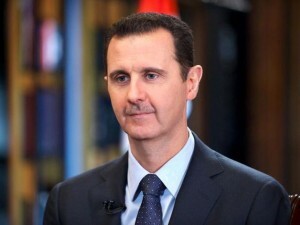 Assad who was re-elected for another seven year term in the June 3 elections issued Legislative Decree no. 22 for 2014 that grants general amnesty for all crimes except “acts of terrorism”. Those guilty of terrorism would not be applicable to amnesty, said Syrian state television. It was, however, not clear how many prisoners would be released. According to SANA, the decree appeared to cover at least some of those who have taken up arms against the government, including foreign fighters. Foreign gunmen would not be prosecuted if they “surrender to the authorities within a month of the issuing of the decree,” the report said. Those behind kidnapping would also be pardoned, said the news agency, if they ” “if the abductor frees the victim safely without taking ransom or delivers the victim to the authorities within a month” of the decree. A peaceful uprising against Assad’s rule turned into an insurgency and ultimately into a civil war. Turkey, Saudi Arabia and Qatar have provided support to the rebellion and Iran, Russia and the Lebanese militant group Hezbollah have backed the Assad government. More than 160,000 people lost their lives and 2.7 million people were displaced in the conflicts.